Should I Buy A Condominium? 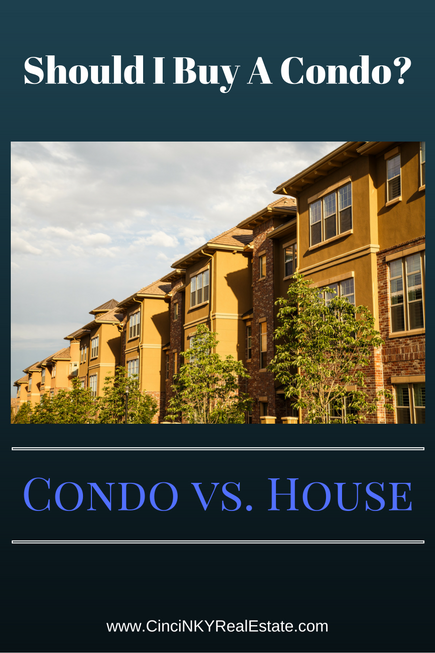 Should I Buy A Condominium Or A House? No matter what stage of the home buying life cycle you are in (first time homebuyer, empty nester looking to downsize, retiree home, etc.) you may have wondered whether a condominium is right for you as compared to a traditional house. A condominium and a house both accomplish the same things in that they give you a place to live and call your own but there is more to a condominium that just a place to live. Many condominiums offer different features of ownership as compared to a traditional house and those differences are discussed below. Condominiums or condo for short are a type of residence where the homeowner usually owns the interior spaces of the building and the exterior and other common areas are owned by the condo association as a whole. A condo association usually consists of elected members from the condo community who are responsible for arranging the maintenance of the common areas, enforcement of condo association rules, and budgeting and managing condo association dues. Most condo owners are required to pay monthly condo association fees which are used to maintain the common areas of the condo community and pay for other fees associated with condo management. Condos are usually apartment like in nature in that there will be shared walls, shared driveways, and parking areas. Generally the condo owner owns and controls everything to their unit’s wall and inside whereas everything outside of the wall boundary is overseen by the condo association. There are also detached condominiums where the owner’s units are separate buildings with no shared walls between units. You may also encounter landominiums where in that situation the owners will own the building and land around their building but there will still be common areas like roads, pools, or recreational facilities that are maintained by the condo association. The primary difference between a house and a condominium is that the condominium has a number of common areas that are owned and managed by the condo association. The condo association not only sets rules for the common areas but can also set rules for the condos themselves such as sign restrictions, paint color restrictions, landscaping restrictions and more. Most individual homes are not restricted in terms of signs, paint colors and more unless there are local city or town ordinances that govern residential property in general. Note that some homes can fall under a Homeowners Association which can have community amenities like pools, walking paths, recreation areas and more that also require the payment of monthly or annual fees to maintain the amenities. These Homeowner Associations usually do not exercise the level of control as do condo associations. For common areas the condo association will usually contract out the periodic and routine maintenance so that is something you do not have to worry about as a homeowner. From cleaning snow to removing leaves and mowing the lawn in the common areas this is one big advantage to condo ownership for those who may not want to do that Your only responsibility as a condo owner is toward the inside parts of your condo and possible and outside area that is designated as your space only. As noted above condo associations oversee condo common areas and enforce the condo community rules and regulations. By enforcing the rules and regulations the condo association can help make sure the condo community retains its value and is a desirable community. The condo association itself usually consists of condo residents who are voted into the board positions such as President, Treasurer, Secretary and others. Generally the condo meetings are open to all condo residents and even if condo residents are not in an elected position on the condo board they can still submit rule change requests and comment on other activities of the condo association board. Condo associations conduct their business and meetings in accordance with the Condo Association Rules and Regulations which also can be called Covenants, Conditions and Restrictions (CCR). Prior to buying a condo you should also request a copy of the condo association Rules and Regulations or CCR in order to understand and know about the restrictions that will apply to the property you will be living in. For instance buying a condo that prevents outdoor grilling when you love to grill could be a problem when you discover this after you move in, so make sure to review the rules before you make a purchase so you are not caught off guard by any surprises. Condo association rules can govern many aspects of the condo community. From governing what colors your home may be, the type of landscaping you have and the where you can park cars, these are all usually spelled out in the condo rules and regulations. Condo associations can also change the rules in order to accommodate a change in desires of the residents of the community. Generally when changing condo association rules all of the condo residents will vote whether to pass the new change and a majority vote will allow it to pass, the exact method as to how provisions can be changed will be found in the condo rules and regulations. In order to enforce the condo rules the condo board will usually direct a particular condo owner to come into compliance with the rules or risk being fined. If the condo owner refuses to make changes in light of the condo rules and board request the condo association may be required to take the condo owner to court in order to enforce the rules. The condo association can also make the change themselves to bring a condo back into compliance with the rules and bill the owner for the changes, for instance a condo association can paint a fence white if the rules only allow for white picket fences and the fence in question is green. 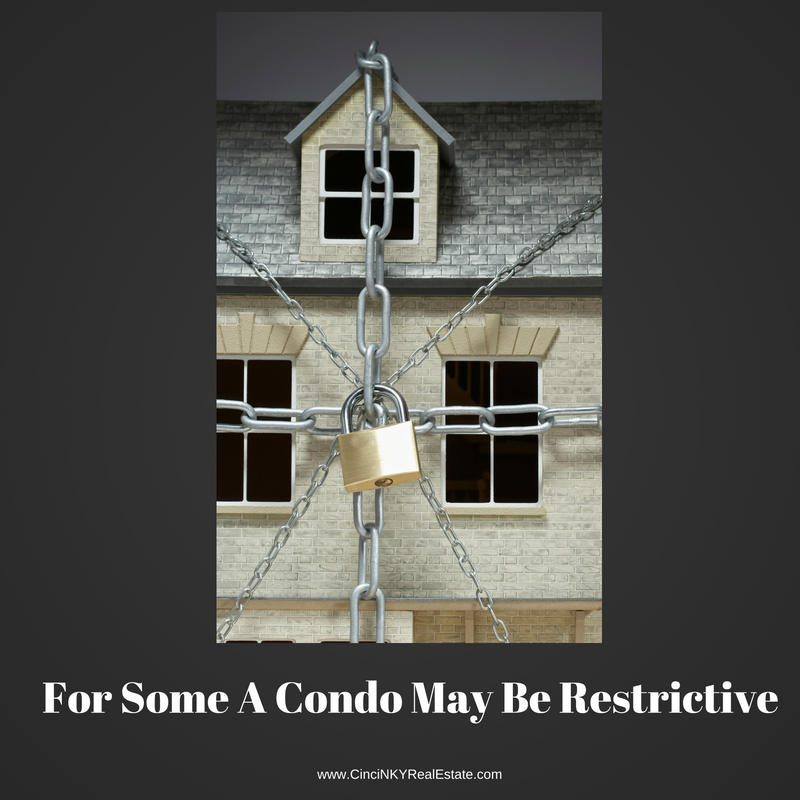 The condo association can also suspend the condo owner’s common area privileges (no pool for you) or place liens on your property thus affecting your ability to sell. It is best to be familiar with the condo association rules and come into quick compliance if found to be in violation of any of the rules. Financing your condo purchase just like financing a regular home requires that you meet the lender standards for debt to income, credit score, employment history and more. The big difference when applying for financing your condo is that the condo association and community itself must meet certain requirements also in order for you to get financing. While you may fully qualify for financing a particular condo based on excellent credit score and with sufficient finances to pay the down payment your loan could be denied if the condo association is not in good financial health. Not only do lenders look at the financial health of the condo association they also look at other aspects of the condo community itself. Some condo financing rules include that no more than 10% of the individual condo units may be owned by one investor and at least 51% of the condo units must be owner occupied. 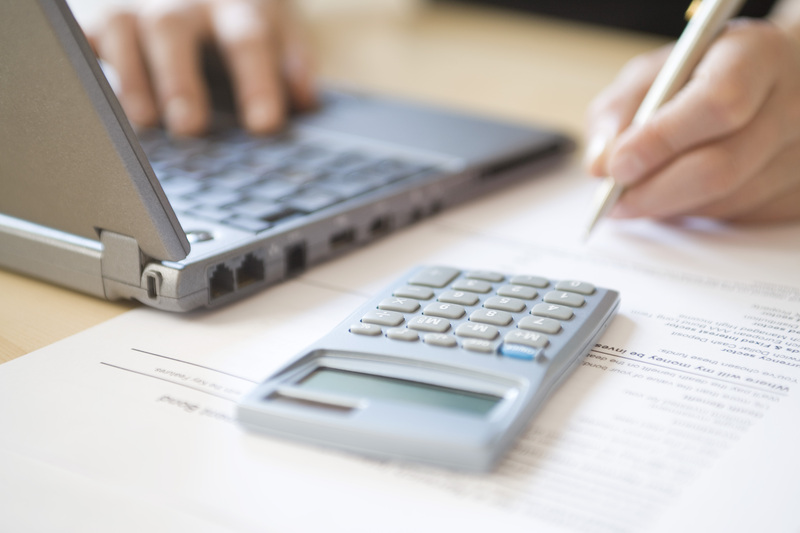 The mortgage lender will also want to review the condo association reserves to make sure they have cash on hand to manage the condo complex and that no more than 15% of the condo owners are behind in their dues. The reason for the stringent requirements for the condo association and community is that with a weak condo association or a condo community with heavy investor ownership there is less money to keep the condo community in shape or that tenants for investor owned condos will not take as good care as would owner occupied residents. A condo may be a good purchase for you if you are looking for homeownership with lower maintenance and responsibility as compared to traditional homeownership. Your condo community may provide you with additional amenities like pools, recreation areas, walking trails and more that some neighborhood homes may not offer. When shopping for a condo not only is it smart advice to review the condo communities rules and regulations but a review of the condo association finances and who owns the condo units is also good to research as those will have an impact on whether you can finance your purchase in a particular condo community. About the author: The above article “Should I Buy A Condominium” was provided by Paul Sian. Paul can be reached at paul@CinciNKYRealEstate.com or by phone at 513-560-8002. If you’re thinking of selling or buying your investment or commercial business property I would love to share my marketing knowledge and expertise to help you. Contact me today!